Sleek and chic, the Caroline-C Counter Stool adds a hint of glam to any setting. This modern counter stool has an elegant, modern look that adds instant style anywhere it goes. This stool works great at any counter or paired with a high table to create a stylish space to enjoy a drink or casual meal. 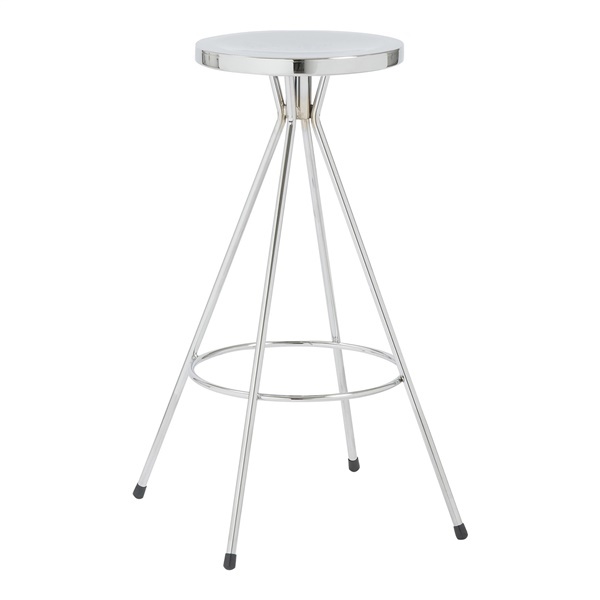 The Caroline-C Counter Stool features a frame made of chromed steel with a chromed steel seat. Its seat also conveniently swivels.